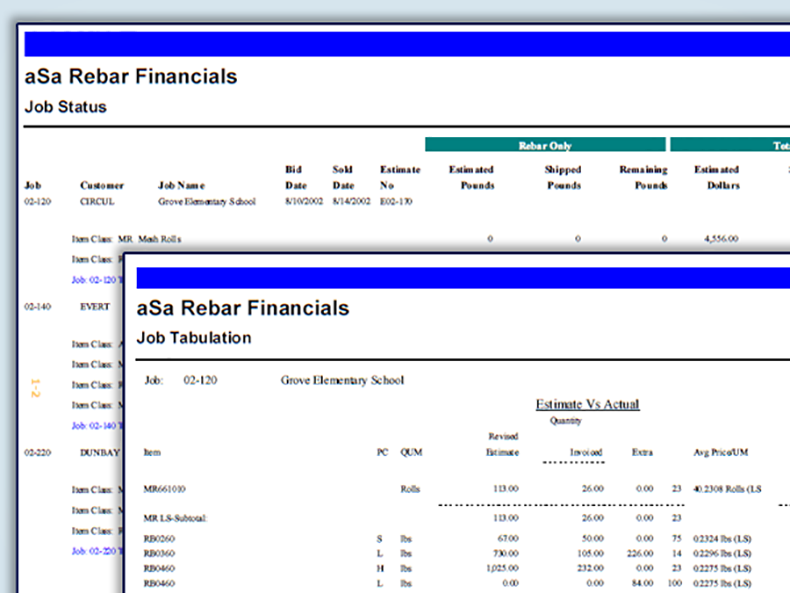 aSa Rebar Financials handles rebar-specific tasks that out-of-the-box business software can’t. By seamlessly integrating your accounting with estimating, detailing, and production, aSa gives you the tools to efficiently manage every aspect of your projects, from start to finish. With aSa, you’re completely integrated. Accounting tasks, such as relieving inventory and tracking contract progress, happen automatically based on engineering and production processes. 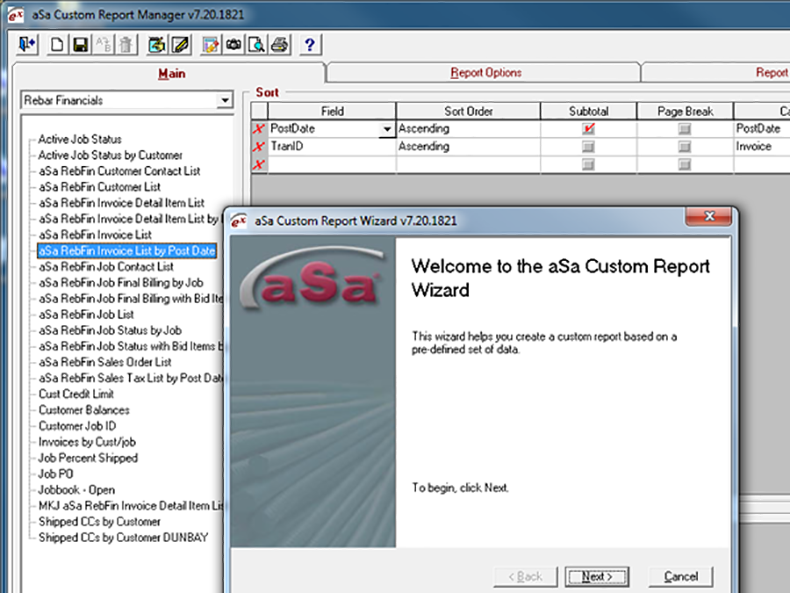 aSa compares estimated, shipped, and billed dollar and quantity values, allowing reports to show you up-to-the-minute job progress. When a customer requests material, one simple application is all you need to process an order. Within minutes, you can print the order, a bar list, the tags, bill of lading, and invoice. 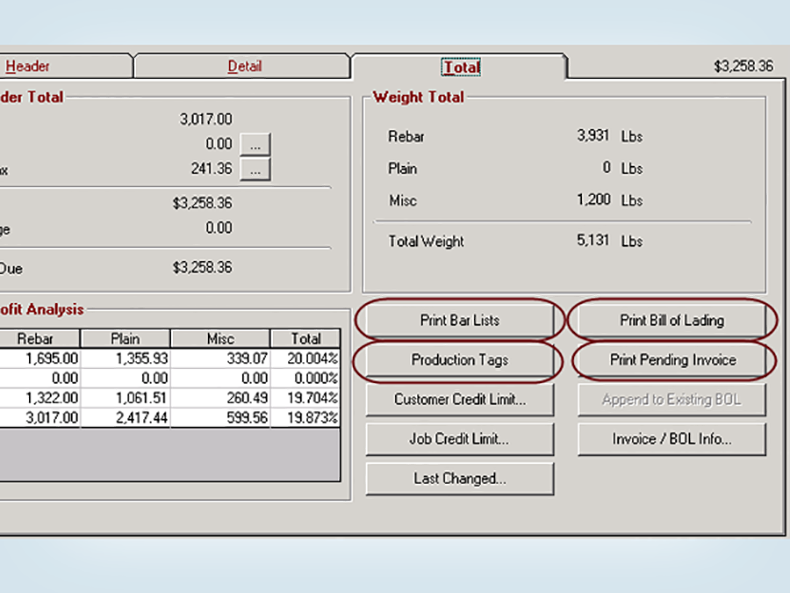 When you set up a customer or job in Rebar Financials, the background and engineering defaults that you define are automatically available for Bar List, CAD/Detailing, and Production applications. 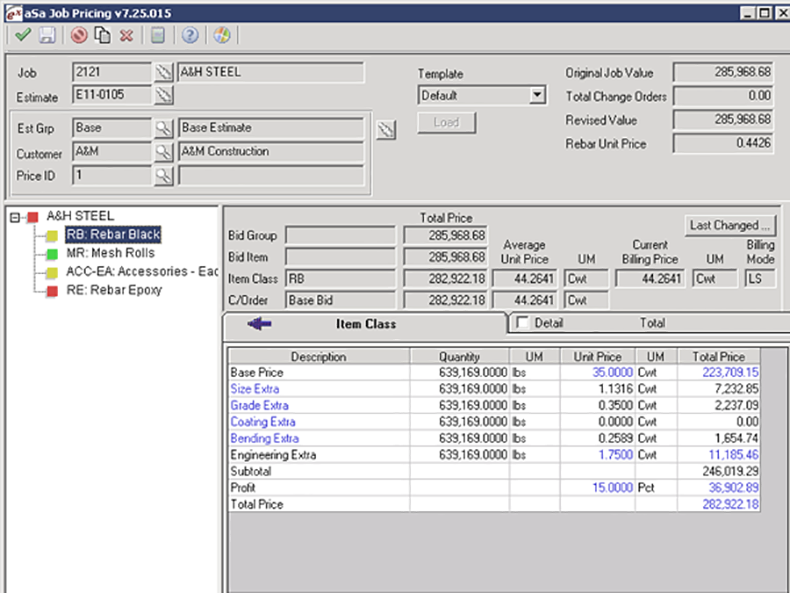 aSa Rebar Financials is a complete accounting package designed to serve the unique needs of reinforcing steel fabrication companies. Rebar accounting tools, developed by aSa, are built into the powerful framework of Sage MAS 500 business software suite. Every business-related task you perform — from customer and job setup, to shipping, billing, cash receipts, inventory, and GL accounting — is completely automated and integrated. aSa provides useful information that off-the-shelf financial software couldn’t give us. It’s more high-powered. aSa helps us to make better decisions. Scroll through the screens below to explore just a few of the many benefits of aSa Rebar Financials. Develop pricing based on your needs and the contract requirements. Generate sales orders, bills of lading, and invoices quickly and easily. 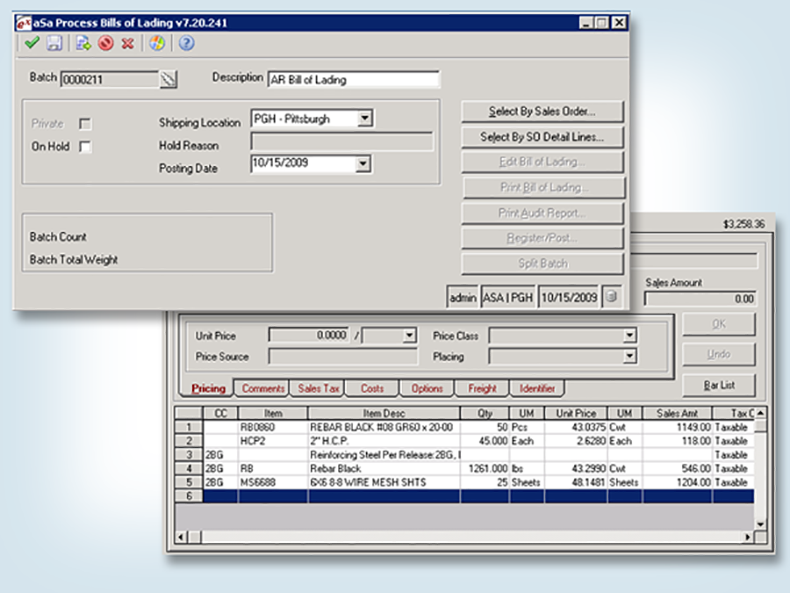 Create a bar list, production tags, bill of lading, and printed invoice directly from a sales order. Manage contracts easily with powerful job reports. Get the information that?s most important to you: design your own custom reports.